Making an awesome pair with someone? Check out this lovely printable quote. 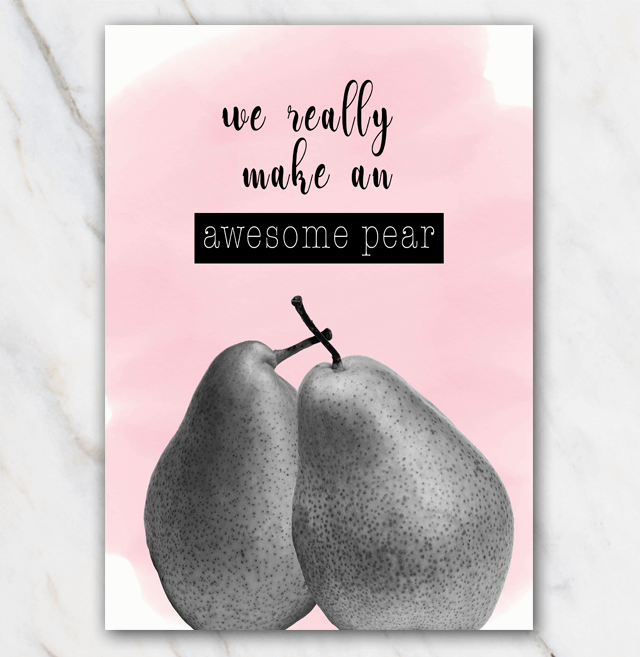 Download the printable quote for free and give it to somebody you make a great 'pear' with. So lovely! Looking for other printable funny quotes including fruit? Check out the other printable quotes!